With rapid digital transformation across end markets such as the oil and gas, chemicals, and power generation industries, there will be an increased focus on reducing downtime cost and time associated with unplanned failure of assets like valves, especially for critical applications. It is imperative for valve OEMs and pure-play service providers to be mindful of the end users’ digital adaptability and the demand for valve solutions. As end markets foray into the digital landscape, technological advancements to improve asset reliability and operational efficiency will be crucial to take advantage of growth opportunities and disruptive business models. Frost & Sullivan invites you to join Avinash Kumar, Industry Analyst, to learn how innovation in asset monitoring solutions is creating new growth opportunities and new business models over the next three to five years, followed by an interactive, live question-and-answer session. While the power density capabilities of fluid power equipment continue to render it attractive to some industrial users, its Achilles heel has always been energy efficiency and high maintenance costs. With increasing threats from electric equipment across the industrial spectrum, smart IIoT-enabled fluid power solutions are poised to boost the fluid power industry. Digital transformation among end-users warrants a redefinition of existing business models and supply chain networks that will redefine the relationship between manufacturer and end user. 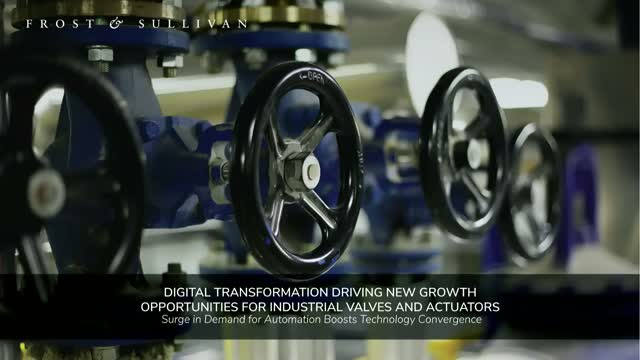 Frost & Sullivan invites you to join Varun Raman, Industrial Research Analyst, to gain expert insight into why fluid power manufacturers are heavily investing in IIoT technology to drive a new wave of growth in the industry. The interactive webinar will include a live question-and-answer session. • What are the various challenges present across different industries and how do smart fluid power solutions slow down electrification? • Within the value chain, who is going to be responsible for the push toward the adoption of IIoT solutions? • What are the key end-user requirements, and how are manufacturers responding to these end-user requests? Our industrial automation and process control webcasts covers market dynamics in mature markets such as North America and Western Europe, as well as high-growth markets such as Brazil, China, India, Russia, Eastern Europe, Africa, and other emerging markets around the world. Our global team of industry experts continuously monitors the Industrial Automation & Process Control industry, including control systems, software, process equipments, motors, compressors, machine tools, and others.